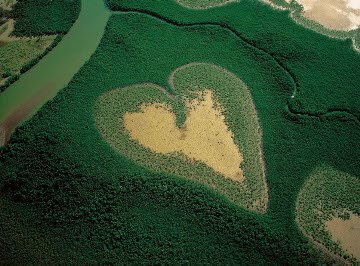 Here is the famous mangrove heart from Yann Arthhus-Bertrand's Earth From Above project. Which now lets you download imagery for free. And if you need more, here is a collection of random (and mostly vegetated) hearts from above.